Industrial chemical resistant fiberglass fume exhaust fans and propylene fume fans / blowers / ventilators sales. Quick ship of SST stainless steel blower and fiberglass fans, blowers and ventilators, chemical resistant special fume exhaust fans, sealed pressure blowers and radial fans. High temperature (up to 2220 F) fans and blowers for industrial combustion and air tempering applications in Buffalo, New York. 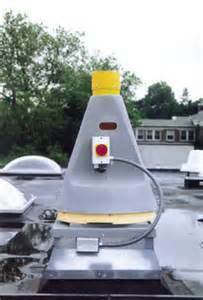 Fume Hood and chemical exhaust plastic fans are designed according to your special needs. Units are manufactured in Propyelne, PVC, stainless steel, FRP or other materials that are resistant to most chemicals. Design of industrial process and OEM fans, heavy duty process ventilators, baghouse fans, low leakage fans and blowers, fan / blower impellers, airfoil fans, acoustafoil ventilators, unifoil fans, plant ventilation fans, explosion proof building ventilation fans, TCF twin city ventilators, Sheldons engineering blowers, conveying blowers, air tight blowers & fans, industrial process air curtains, OEM fans / blowers, fume exhausters, dust collectors. Canadian Blower high pressure marine duty fans use a one-piece cast aluminum propeller with fixed pitch ventilator blades. Canada Blower fan blades can be cut to one of several diameters in order to provide various hub-to-tip ratios. Varying hub-to-tip ratios allow for different fan pressure and efficiency characteristics and the option of having several different fan wheels (different hub ratios) for a set diameter.